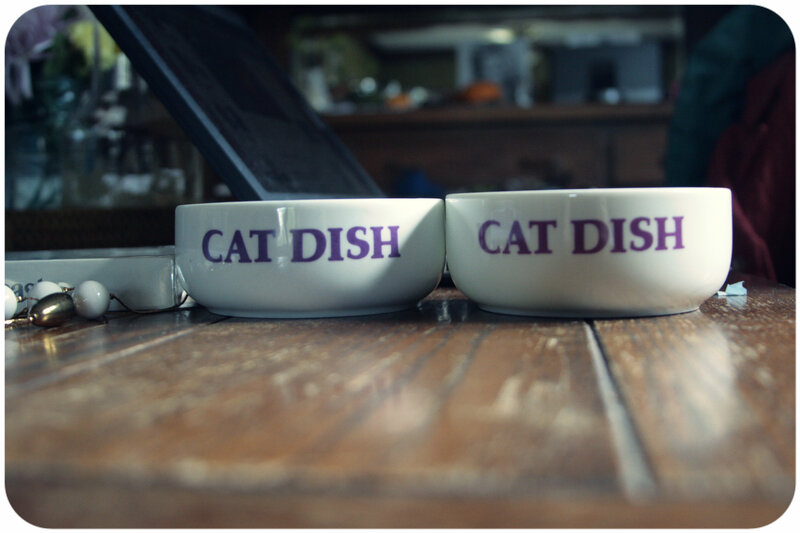 Owning a kitty cat has opened up a whole new world of things to thrift for. First I got a cute glitter-kitty piece of artwork. 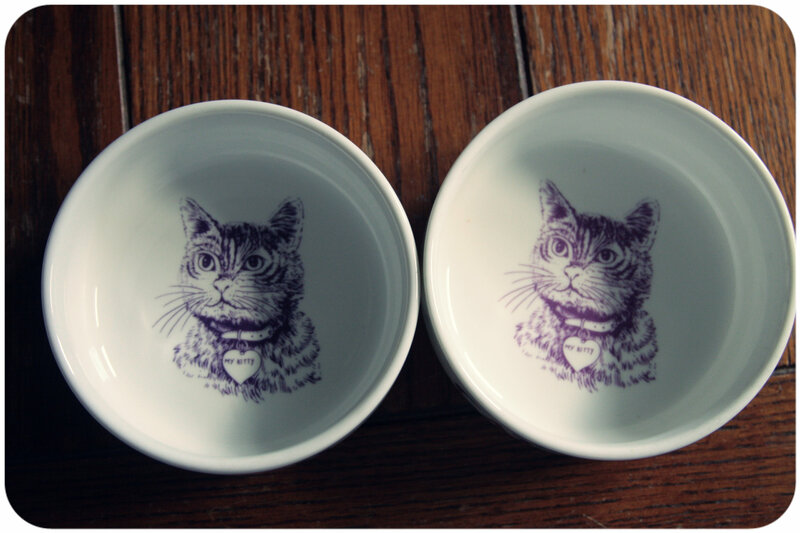 Then the “I ♥ Cats” knick-knack. I swear, before you know it, my daily uniform will be leggings and kitty sweatshirts. It’s a slippery slope people, I’m not joking. As evidence, here are a couple recent buys I’m posting for no other reason than to record the beginning of my fall into complete cat-lady craziness. 1. 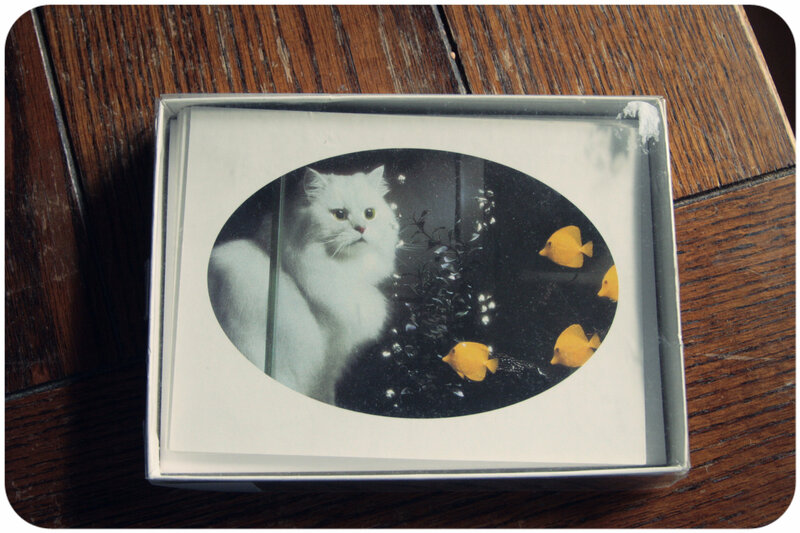 Boxed set of cat stationery (brand name: Fancy Feast! ), 29 cents at Bibles for Missions, aka the cheapest thrift in town! Now that the cat’s out of the bag (couldn’t. resist.) about my embarrassing thrifting obsession, why don’t you tell me about yours? I won’t judge you, if you don’t judge me. What’s up, for all time i used to check weblog posts here early in the morning, as i love to gain knowledge of more and more.